It is a recent introduction to India and shortly occupied as a prime oil seed crop, due to high heterosis. Number of hybrids developed by the public & private sector. It has a wider adaptability. It is a photo-insensitive crop thus it can be grown round the year. The oil is edible with a pleasant smell, and reduces the blood cholesterol. Generally it is grown under late Kharif and Rabi situations. Sunflower oil is rich in Vitamin E and low in saturated fat. It also contains monounsaturated and polyunsaturated fats along with vitamins that makes it one of the healthiest oils for consumption. High oleic sunflower oils contain 80% or more monounsaturated fats. 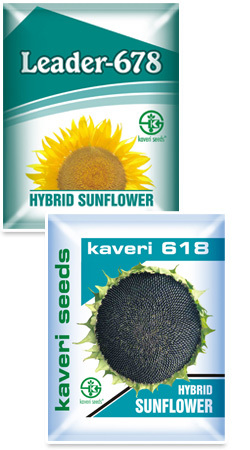 Thus, sunflower oil helps in lowering cardiovascular diseases and chance of heart attack.